National Farmers Market Week starts this Sunday, August 5th! 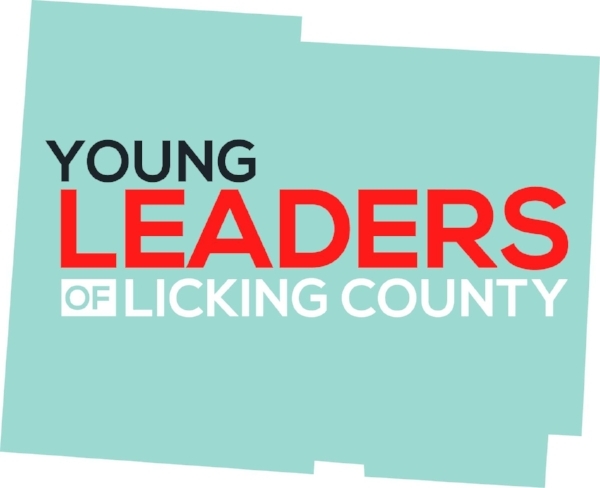 We're kicking off the week in Licking County at the Hartford Fair this Sunday evening at 5:45 pm. Meet us at the Grandstand for a special proclamation of Farmers Market Week, then hang out for the truck and tractor pull starting at 6 pm! Market staff from Granville, Pataskala, and Canal Market District. Visit this link to see activities at all Licking County markets this week! Visit our markets and tell us why you love your market to enter the drawing for a basket of farmers market goodies! Thank you to Cherokee Valley Bison Ranch for leading this workshop! Thank you to Josephine's Lot for leading this workshop! Farmers Markets Keep Farmers in the Field. In 2015, direct to consumer revenue at farmers markets totaled $711 million! Studies have shown that all farms, regardless of scale, are significantly more likely to survive if they have local food sales as a part of their marketing portfolio. Farmers and ranchers receive only 15 cents of every food dollar that consumers spend at traditional food outlets. At a farmers market, 100% of your food dollar goes to your local farmer. Studies have shown that all farms, regardless of scale, are significantly more likely to survive if they have local food sales as a part of their marketing portfolio. September Craft Market Coming Soon! Volunteers in the community will use the Canal Market District for the 4th Annual International Overdose Awareness Day event here in Newark. Learn more and RSVP to the event here. The Canal Market is off to a fantastic start this year! We've been thrilled to see many familiar faces at our markets over the past month, and we're meeting lots of new folks, too. Thanks to you, the wonderful CMD community, for continuing to support the small businesses that make the market what it is! Meanwhile, summertime is here! We have a big month planned, and we hope you'll be a part of it! In this newsletter, you'll find updates about upcoming events, what to expect at the market this month, and information on how you can get involved! The Tuesday evening farmers' market returns next week on June 5th! The Tuesday Market welcomes back many of your Tuesday evening favorites like BYOB Home Bakery, Thousand Hill Acres, and Cat Run Ranch flowers. You'll also have the opportunity to shop with a rotating cast of craft vendors on Tuesday evenings--everything from quilts to candles. Make sure to join this Facebook event or sign up for text alerts to get reminders on market day! Shopping at the farmers market for fresh food is just one part of living a healthy lifestyle! We've recruited local organizations and businesses to set up 10 wellness stations at the farmers market on June 15. Each station will have a different activity and theme. Pick up a Wellness Day passport, visit all of the stations, and then turn in your completed passport for a chance to win an awesome farmers market' prize: $50 in gift tokens to the market and some Canal Market District swag! The first 20 people to complete their passports will automatically receive a $5 token. In conjunction with Wellness Day, there will be a 1 mile fun walk starting at the Canal Market District center pavilion, starting at 4:30 pm. Thank you to Rehab Associates for coordinating this walk! We are grateful to the Licking County Foundation and Rehab Associates for sponsoring our first Wellness Day! We've added a special market to celebrate Newark's first ever Summerfest! If you haven't heard, the Budweiser Clydesdales are returning to town for three days June 21-23, and Newark is throwing a big party to celebrate! There will be a three day lineup of parades and music, all happening downtown and at the Canal Market District. On Saturday, we will host a special event with vendors from both the farmers market and the craft market. For a full vendor list, check out our Facebook event for updates. More info on Summerfest can be found here. Join us for a concert by The Wayfarers with Rocky Fork, food from local restaurants, beer and wine, and old-fashioned carnival games for the whole family! 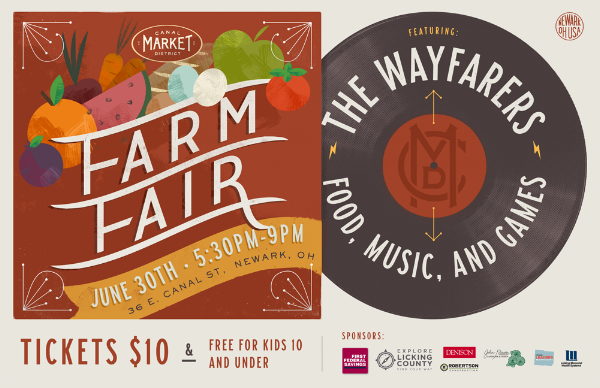 Celebrate the long, lazy days of summer and help support the Canal Market District's mission to expand community access to healthy, local food. Click here for more details and updates! You can also buy your tickets online now. Thank you to our wonderful sponsors, who help us keep the Canal Market District thriving! EARLY JUNE: Salad greens, strawberries, radishes, and plant starts for your own garden. Leafy greens like kale and chard are a great staple. MID JUNE: A few early tomatoes, cucumbers, and more strawberries! Kale and chard should stick around. Possibly some early raspberries. LATE JUNE: Raspberries! Blueberries! Tomatoes! Cukes! Possibly green beans, but more likely we'll see those in July. Of course, these are just educated guesses. No one knows what the weather will do! Eating seasonally is always an adventure and a surprise. Love the market? Love our mission of expanding community access to healthy, local food and promoting local economic development? Become a volunteer! We are always looking for help at our farmers markets, craft markets, special events, and at our Food Enterprise Hub. The Canal Market District and Enterprise Hub is a nonprofit organization that relies on community support. To make a donation that supports a healthier, more vibrant local food system, click here. It's finally here! This Friday is opening day for the 2018 farmers market at Canal Market District. Rain, shine, or anything in between, 40 local vendors will be here to bring you fresh local produce, meat, eggs, cheese, jams, breads, produce, and a whole bunch more! Come down to the Canal Market District from 4 to 7 pm to pick up groceries for the weekend and support your local farmers! And don't forget that the craft market opens next weekend, May 12th. We've all noticed how cold and wet this spring has been, but no one has been paying closer attention than our produce farmers. Shopping at the farmers market means eating seasonally, and this "spring," locally grown produce isn't as far along as we'd like. However, we still expect to have lots of fresh and tasty veggies at the market on opening day--things like salad greens, kale, radishes, spring onions, and rhubarb for those inclined to make pie. Please come out and support our local farmers--they need your business now in particular! In addition to the produce (we know how much you love it! ), don't forget that you can really buy most of your weekly groceries from local producers: oats, flour, cheese, bread, baked goods, jams/jellies, honey, pasta, salsas...the list goes on. Finally, a quick word about the weather report for Friday: it might not be the picturesque spring day we were hoping for. Fortunately, we have a roof that keeps us dry, so please don't let a little rain keep you from the market! Interfaith Market Blessing at 5:45 pm - all are welcome! Click to view the full parking map. We have good news for those of you who shudder at the sight of orange traffic cones: getting to and from the Canal Market District is much easier this year! No matter which direction you're coming from, there is easy access to Downtown. The Canal Market District is located just one block east of Route 13 (4th street) and one block south of the Licking County Courthouse between 2nd and 3rd streets. There is plenty of free parking in the downtown area, including a surface lot and a parking garage right next to the market pavilions. Click here to view a full parking map. There are two great ways to get reminders on market ways! Both are free and easy to sign up. On Facebook: Join this event page. Facebook will automatically notify you to remind you the market is coming up, and we'll update the event weekly with vendor and event information. Text message: Click here to sign up for a reminder text. We will only use this on market days and the occasional (~3 times/year) special event. No spam! The first craft market of the season is next Saturday, May 12 from 10 am to 3 pm. We have over 35 vendors signed up for this market and are looking forward to an a really fun day celebrating moms and supporting local crafters. We will have free mocktails for the first fifty moms who arrive, and live music from 11 to 1. More information about the event and a full listing of vendors can be found here. Thank you, Kiwanis of Granville! Canal Market District is proud to announce that we have received a grant from the Kiwanis Club of Granville to support education for kids at the farmers market around local agriculture, seasonality, and healthy eating. Their support helps us do fun activities like our greens tasting at the first farmers market on Friday. We are proud to work with Kiwanis to teach the next generation of Licking County kids about agriculture. Although they've gotten a lot more popular in recent years, most people still haven't heard of ramps! 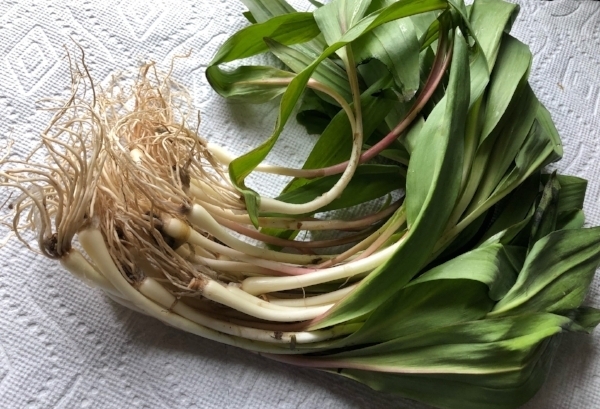 Ramps, also known as wild leeks, are in the same family as garlic and onions. They taste something like shallots crossed with garlic and are great for stir frying or grilling. You can find them for only a very short window in early spring each year, and they'll be at the farmers market on Friday! Check out this article from Epicurious for more information. Love the market? We need your help! We are looking for sponsors to support our midsummer event, the Farm Fair, which will be a concert and old-fashioned carnival with food from local restaurants. We are also looking for sponsors to support our live music program! If you're interested in learning more, email us at jazz@canalmarketdistrict.org or fill out the contact form on the website. Your sponsorship helps make the Canal Market District a vibrant part of the Newark community. ...And while we're on the topic, you can also make an individual donation to the Canal Market District. If you love CMD and love the market, consider making a gift. We are a nonprofit organization, and we rely on donations from folks like you to make the Canal Market District thrive! Thank You, Granville Christian Academy! Thanks to our friends at GCA and the City of Newark for helping us get the District looking ship-shape for the new season! There are only three weeks left until the farmers market opens for the season! We are getting VERY excited for our third season. This year we are welcoming over a dozen new vendors to the market along with about 50 of our "old friends." There are also some exciting changes afoot for our third year! See you in three weeks, everyone! Opening day is May 4th, and we hope you'll come down to show the farmers how much you've missed them over this long, dreadful winter. We encourage every family to support the small businesses who attend the farmers market by visiting each week. The most important part of any farmers' market is the local growers! If every family in Newark spent only $25 per week on local food at the market, that would translate into half a million dollars in the pockets of small farmers and businesses. Imagine what that would do for our local economy! Rain or shine, we'll see you here at 36 E Canal St, just south of the square, on May 4th. RSVP on Facebook and invite your friends! Market blessing at 5:45 pm - help us ring in the new season with a short interfaith ceremony. Wine at the Farmers Market?! That's right! Every Tuesday and Friday you'll have the opportunity to sample locally made wines and meet the winemakers. You'll also be able to purchase bottles to go. What could be better than picking up ingredients for a great homemade dinner and wine to go with it? The Tuesday markets will open in June this year instead of May and run through September. Those are the four peak months of produce in Ohio. We are also going to be spicing things up by adding some craft vendors to our Tuesday afternoon markets! They won't be there on Fridays, so if you're interested in checking out some quilts, greeting cards, jewelry, and the like make sure to come to our Tuesday markets, starting June 5th. You can also find them at craft market! Our first art and craft market of the season will take place on Saturday, May 12th from 10 am to 3 pm. That's the day before Mother's Day! This is a great opportunity to shop for a last minute Mother's Day gift, or even better, spend some time together with Mom! The first 50 moms who arrive on the 12th will receive a free "mocktail" to celebrate. We have more than 30 vendors lined up for the day, so don't miss it! This year's art and craft markets are scheduled for May 12, September 8, and October 6. Come Visit us at Sweets on the Square! The Downtown Newark Association always throws a great party on the Final Friday of the month in Downtown Newark, April through September. As always in April, the theme is Sweets on the Square. You can register here for one of 175 tickets. That gets you a free tote plus the opportunity to pick up something sweet for FREE from 25+ businesses on and around the square! We'll be set up on the square with some of the amazing bakers you know and love from the Farmers Markets--Uncle Giant and Lona Belle's Home Baked Goods. Come say hi and max out on sugar just one week before the market opens for the season! Colin Eggert has assembled and placed a bicycle repair station at the Canal Market District in downtown Newark for his Eagle Scout project. He chose the Canal Market District due to its centralized location. The station will provide the bike rider with tools and an air pump to make repairs to their bicycle. This will greatly benefit the community, especially those who rely on a bicycle as a primary mode of transportation. The Dero station is located next to the bike racks on the south side of the market plaza, right behind the Licking County Historic Jail. Thank you very much to Christian Robertson and Robertson Construction for donating the labor and materials for the cement pad where the repair station sits! We are very grateful to both Colin and Christian for their efforts in making improvements to the Canal Market District. "We pledge to eat local because we trust the local producers. There's nothing like knowing where your food comes from!!!" -Dennis and Brian Jamandre, owners of Uncle Giant. Find them at the market starting in May! "We pledge to eat local because it's real and wholesome food."